SOMEONE BOUGHT THIS: Fly Fishing Mike Rotundo Autographed Photo - WrestleCrap - The Very Worst of Pro Wrestling! 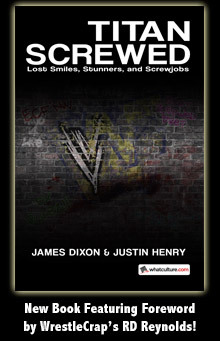 As discussed on WrestleCrap Radio…I never thought he’d top that Captain Mike shirt where he had a giant head popping out of a boat, but he sure tried! This was apparently out of the 1988 DANGER ZONE calendar, and if anyone is looking to get me a Christmas present, this would look great hanging up in my living room. 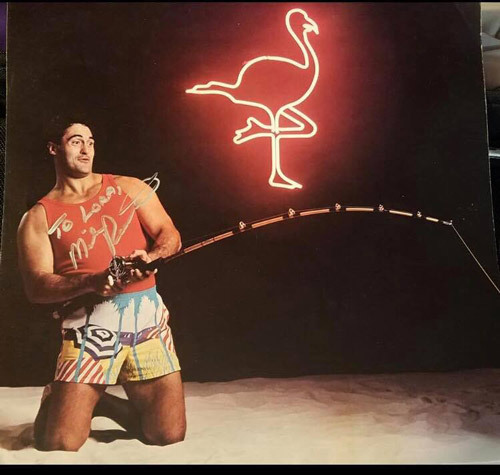 2 Responses to "SOMEONE BOUGHT THIS: Fly Fishing Mike Rotundo Autographed Photo"
Little does Captain Mike realize that the spirit of The Gobbledygooker is haunting him from above, follow the gookers. INDUCTION: The Bungee Cord Match – If You Like Dangling Feet, This is the Match For You!